Enjoy Comfortable stay at luxury swiss chalets. Situated on the hill top where you see the valley & river on one side and the city on the other. With beautiful greens on all sides, the stay avenues at Sunny’s World offer you a resort-style living that you’ve always craved for. Enjoy the blend of the luxury of a resort and the warmth of nature. A perfect combo indeed! Enjoy the comfortable stay in abali type luxury glass tent - fully made of glass with wings introduced for the first time in India. Cherish the Divine bond of togetherness at the luxurious Rajasthani family AC Tents. India's first hill-top family tents for a group of more than 8 people. At Sunny’s World we lay maximum emphasis towards providing you the hospitality which believes in extending personalized service, comfortable ambiance and special care. We believe in understanding the specific needs of our esteemed guests and delivering the same. Our properties are designed with a unique blend of superior accommodations, first-rate service, and modern amenities with alluring ambience, which is unequalled. These qualities, in turn, have made The Sunny’s World a favourite destination for business and leisure travellers alike. Here, you can be yourself with beautifully landscaped Hill and a panoramic view of Valley, river & city for your company, second only to your own homes in comfort, convenience and care. Wooden Clubhouse for Indoor Games: Pool Table, Chess, Carrom etc. Virtual Reality Gaming & Karaoke. A sparkling blue infinity Swimming pool with Jacuzzi. Luxurious Air conditioned chalets & tents, with balconies overlooking the picturesque views of Valley, river & city. Complimentary access of Wi-Fi during stay. The latest security and surveillance systems throughout the resort. Complimentary Packaged Drinking Water in every room. Complimentary Tea and Coffee maker. Reservation cancelled anytime after confirmation till 05 days prior to the date of arrival, 75% of total amount will be refunded. Reservation cancelled within 05 days of the arrival date will incur 100% retention. For No Show, 100% retention will be charged. Information provided by you is used by us only to understand your needs and respond in an appropriate manner. We do not share personally identifiable information provided by you with anyone outside The Sunny’s World Resort, except to the extent necessary to allow us to do the needful for which such information was collected in the first place – for example – to send you an information packet as per your interest in our company and its services. In particular, we do not rent or sell mailing lists of site visitors to any third party. For any further clarification please contact the undersigned. You are requested to kindly mail us the booking request prior to the check-in at the resort. Check-in time: – 2.00 noon & Check-out time is 12.00 Noon. If the guest holds the room after 12 pm on the day of checkout then day tariff will be applicable for the additional stay. For early morning Checkin (before 07.00 am), the guest would be liable to pay contracted charges from the previous day, since the said room will have to be kept on hold from previous night. Above mentioned rates are excluding taxes. Children below 8 years are complimentary. Children above 8 years of age would be considered as adults and an extra adult rate will be applicable. Maximum 2 Adults with one child below 8 years would be allowed per room. Any damage incurred to the furniture and fixture of the resort by the guests during your function/ stay, will be billed to you. 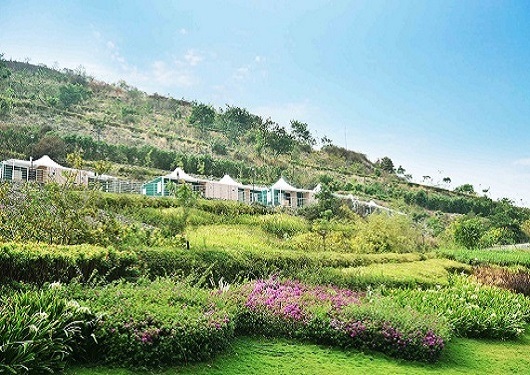 Sunny’s World spread over 100 acres has a bevy of leisure offerings and around 21 wonders of Pune.